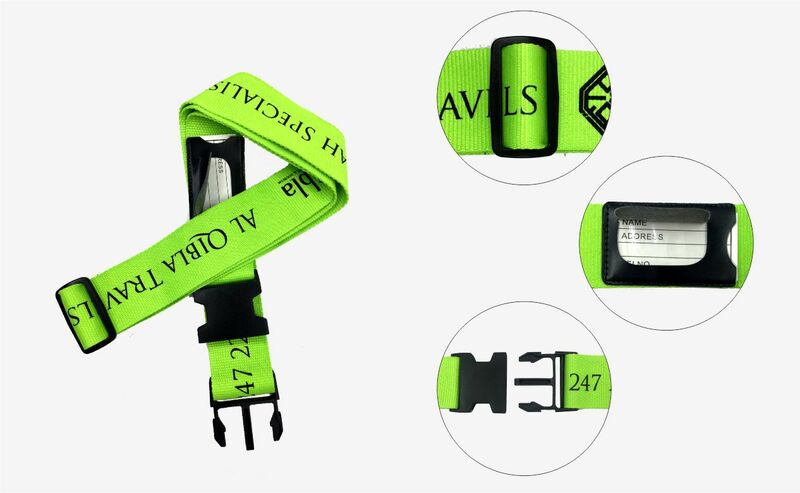 Luggage strap protect your suitcase and make sure traveler quickly identify their luggage. Most of people shall have this kind of problem, your luggage or bags always be broken or be opened then you will drop something in the baggage carousel . Now you can 100% confidence let them be checked when in the station or airport for our luggage strap. The vital function of a luggage strap is to make a suitcase keep closed. The reflective square in the belt will automatically lights up at night helps to discern your luggage easily, you know, brightly colored belt can easily to find in the crowd. The belt protects your luggage from accidental opening and can effectively protect your luggage from being stolen. Luggage strap is with durable quick-release buckle that can keep your luggage securely closed during transportation. We offer custom design, color, sizes, packing and logo . When you choosing a luggage belt, the strength of the belt and the durability of the clasp or buckle that holds it closed is the most important consideration. If you want to provide an additional security in the form of locking clasps to use a luggage belt, the quality of the clasps must be the first consideration. Avoid inferior plastic latches and fittings, cause these are easy to be broken during rough handling. The characteristics of luggage strap are an special, colorful design that helps to carry your logo or text while carrying your luggage. 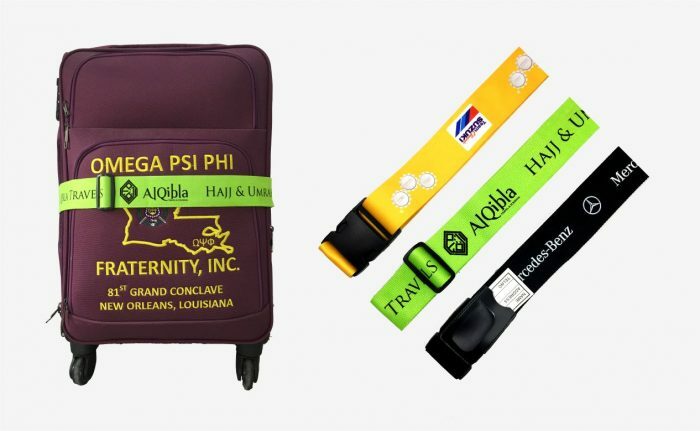 Therefore, the belt’s durability is vitally important to consider when choose a custom luggage strap. The unique, attractive design can make sure traveler quickly identify their luggage. Luggage straps are made from strong, durable materials, such as reinforced vinyl, nylon or leather which can be last longer. Usually they are two inches wide and up to eighty inches long, which adjustable to fit kinds of bag sizes at the same time.